This decadent, delicious slider, featuring succulent Thai basil chicken, sauteed carrots and onion topping with buttery soft buns, comes from home cook Jordi Ong. 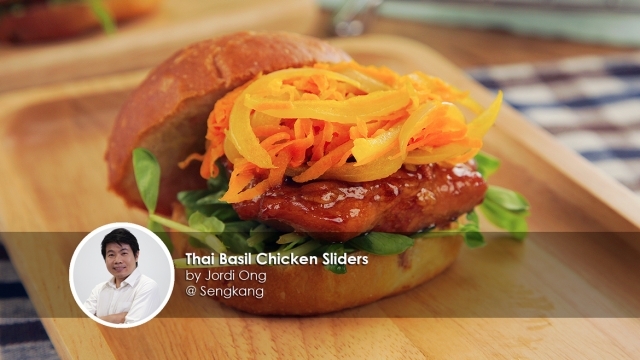 He makes the most amazing tasting sliders and here's how he makes this Thai Basil Chicken Sliders. For good sliders, it's the inside that counts. Incredibly delicious and simple to make recipe - Thai Basil Chicken Sliders. 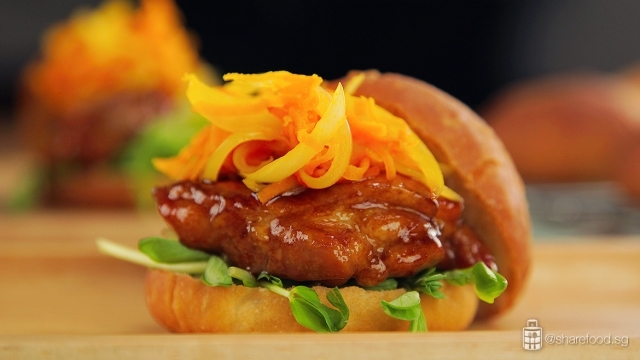 This slider is incredibly delicious, simple to make and everything is made from scratch. 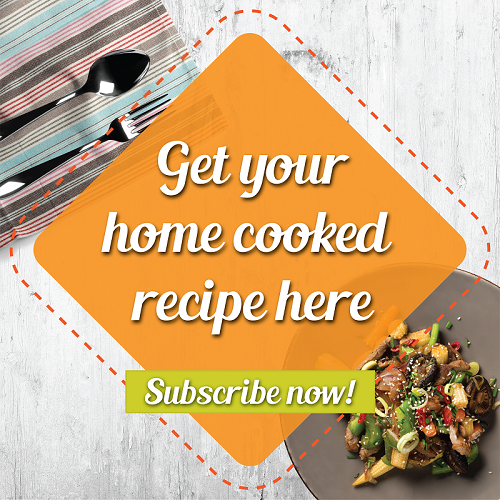 If you have a food processor or a Kenwood kFlex, it is time to use it. We love how easy it is to make the buns. Simply place all water, butter, yeast, milk, sugar and salt into the mixing bowl and beat till everything is well mixed. Add in bread flour and mix till dough becomes soft. Transfer the dough to a bowl and allow it to proof for 40 minutes. Use the Kenwood kFlex and beat till everything is well mixed. Kenwood kFlex has an integrated scale so you need not get another scale to weigh the dough. 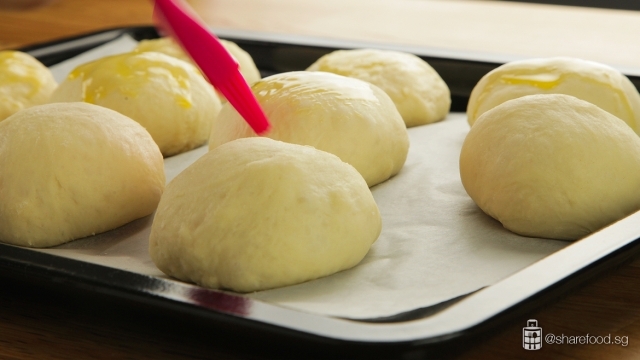 Brush butter on the surface of the dough and place in the oven to bake. When the dough doubles in size, break it into smaller portions of 35g each. The great thing about the Kenwood kFlex, it has an integrated scale as well so we need not get another scale to weigh the dough. Place them in a baking tray and transfer to an oven to proof another 20 minutes and bake at 230oC for 19 minutes. 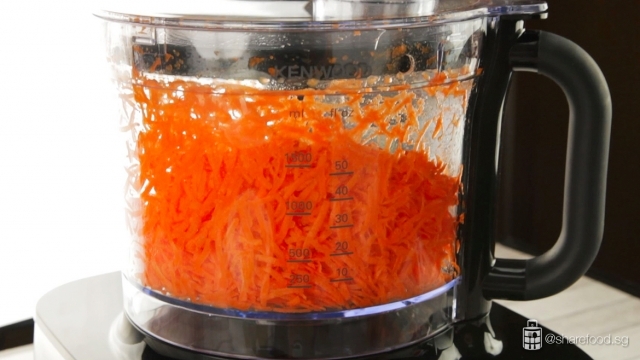 Use the Kenwood kFlex to finely shred the carrot. The kFlex comes with 3 different blades/disc that you can use to slice and even grate. We love how the vegetable topping completes the slider. To make the topping, we switched the kFlex mixing bowl to the clear processor bowl and finely shred the carrots. This food processor can knead, chop, grate and more. We simply love how it saves us space on the countertop too. 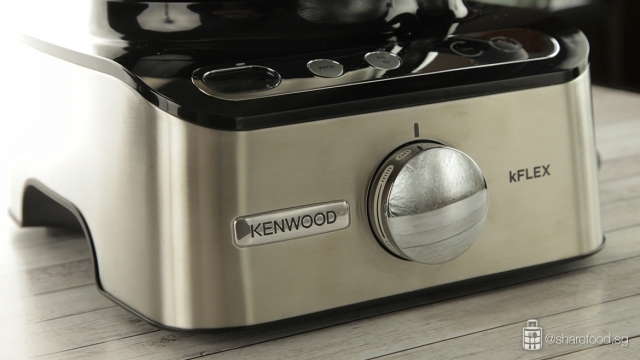 The Kenwood kFlex comes with 3 different blades/disc that you can use to slice and even grate. 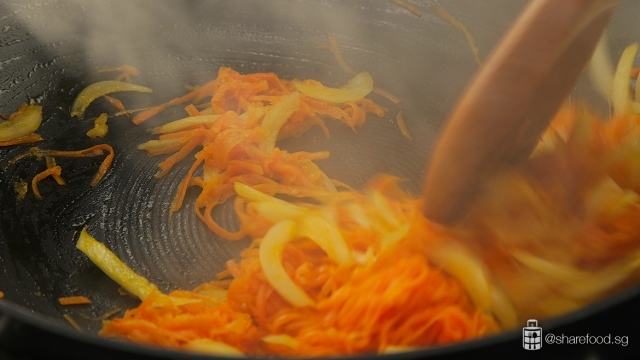 The carrots are then sauteed with onions till fragrant. In a pan heated with oil, add in carrot, onion and fish sauce. Fry till fragrant. For the chicken, it is cooked with garlic, chilli and fresh basil leaves. The sauce glazes the chicken giving it a light yet flavourful taste. 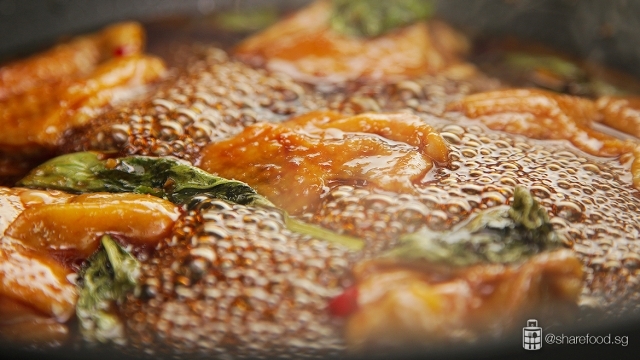 Pan fry chicken and simmer in Thai basil sauce. 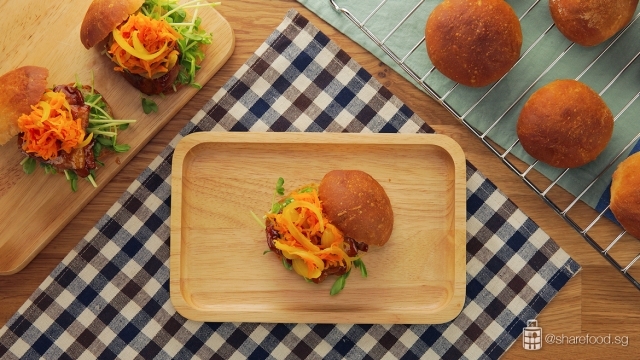 Now you've got everything on hand to assemble an amazing slider. Slice the buns into half and stack it up. Lay the baby pea shoots, Thai basil chicken and sauteed vegetables and cover it up. Assemble the Thai basil chicken slider! 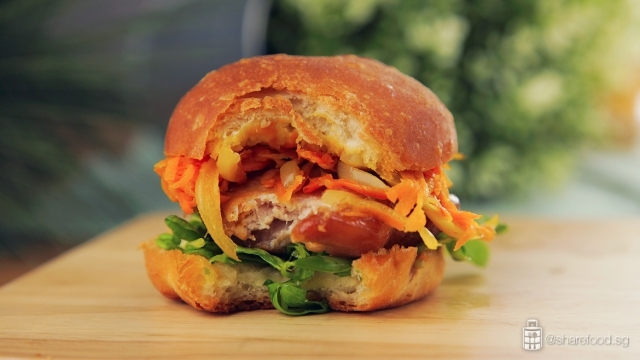 Juicy Thai basil chicken, flavourful sauteed carrots and onions with buttery soft bun, it's unlike any burger you've ever had. 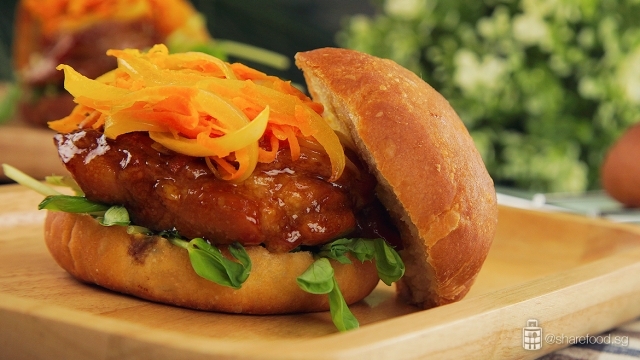 Take a big bite of this Thai basil chicken slider and it'll leave you wanting more! Every bite counts for a good slider. Make this for your family and friends and just one bite of this slider will exceed everyone's expectations. In the Kenwood mixing bowl, add in 90ml tap water, 40ml warm water, yeast, melt butter, milk sugar and salt. Mix the ingredients well and let it stand for about 5 mins. Blend the mixture into a dough using medium speed for about 6 to 8 mins till the dough becomes soft. Transfer the dough into a bowl and cover it with a damp cloth. Allow it to proof for 40 mins and the dough should double in size. 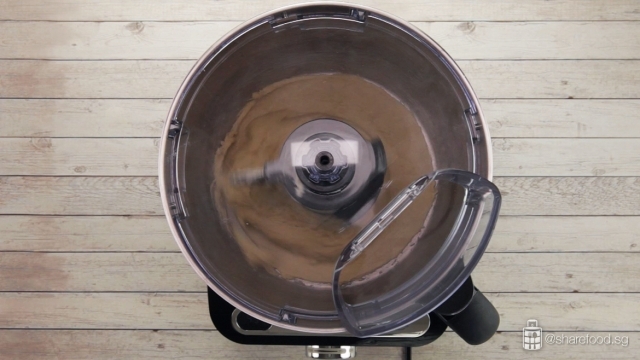 Separate the dough into small portions of 35g using the kFlex scale. Dust the worktop. Flatten the dough, do a few folds and overlap each other. Smoothen the outer layer and gently roll into a smooth ball. Place them on a baking tray, transfer into the oven and let it proof for another 15 to 20 mins. Remove from the oven, brush butter on the surface of the dough and bake at 230 degree Celsius for 19 mins. 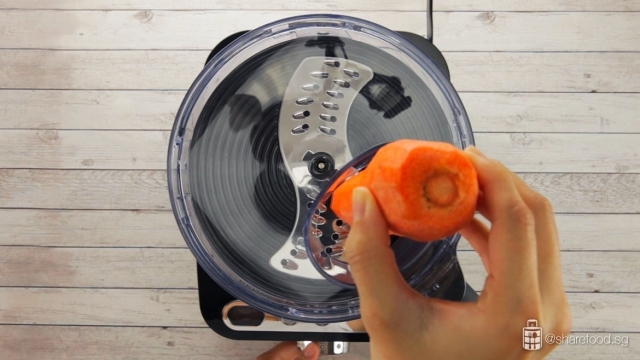 Use the Kenwood kFlex to shred the carrot. In a heated pan with oil, add in garlic, chilli padi and fry till fragrant. Add in all the sauce ingredients (C) and basil leaves and fry till sauce thickens. Add in chicken slices, pan fry it thoroughly. Switch off the heat. Keep the chicken in the sauce. Slice the buns into half and stack it up. Lay the baby pea shoots, Thai basil chicken and sauteed vegetables and cover it up. It's ready to be served!